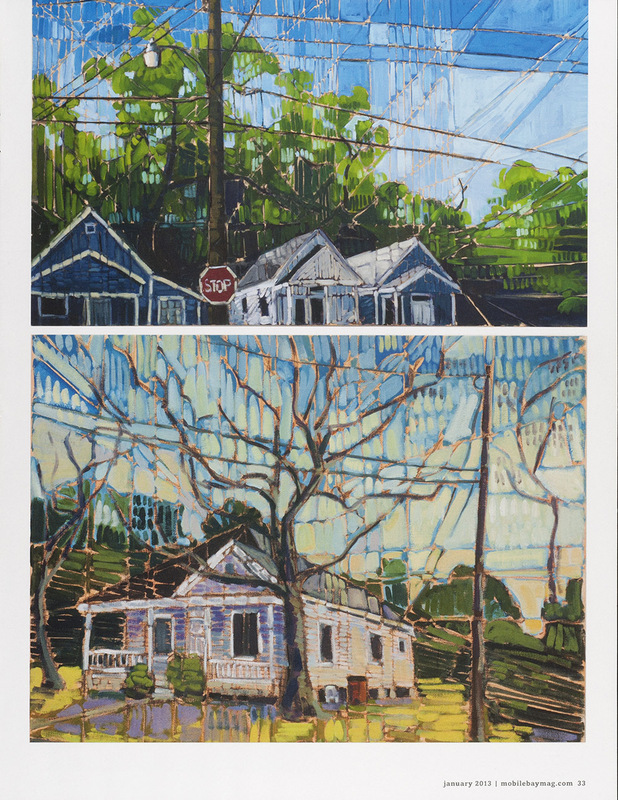 Mobile Alabama arts writer and photographer Adrian Hoff. 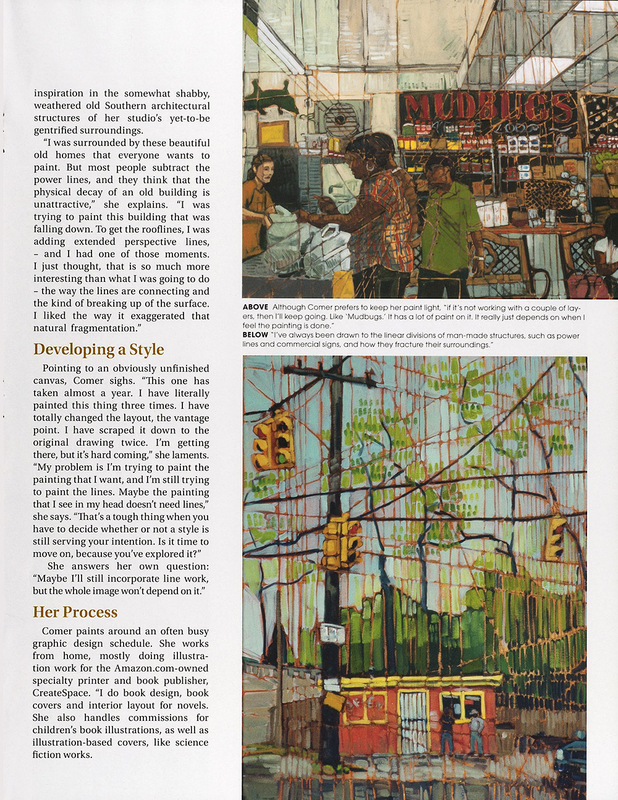 Mobile Bay Magazine, Gallery, January 2013: A Linear Approach. 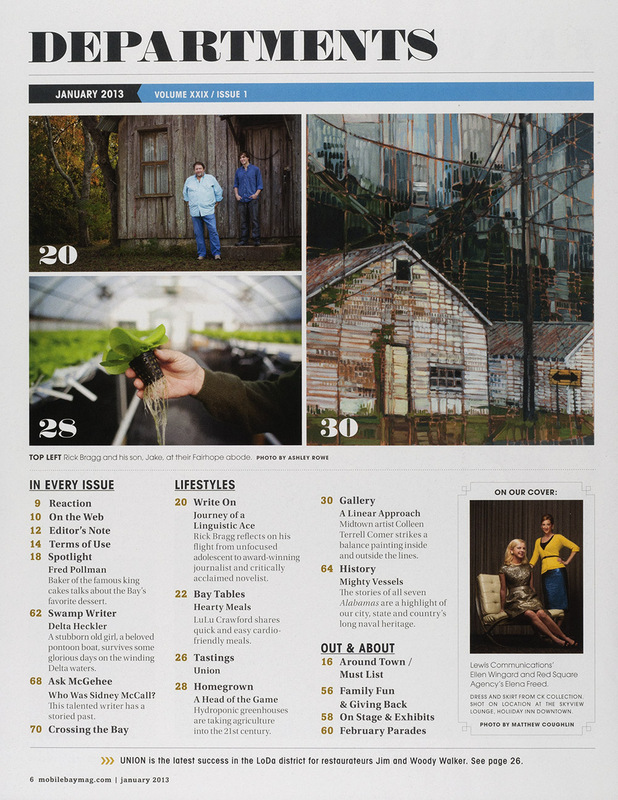 Text and photos by Adrian Hoff. 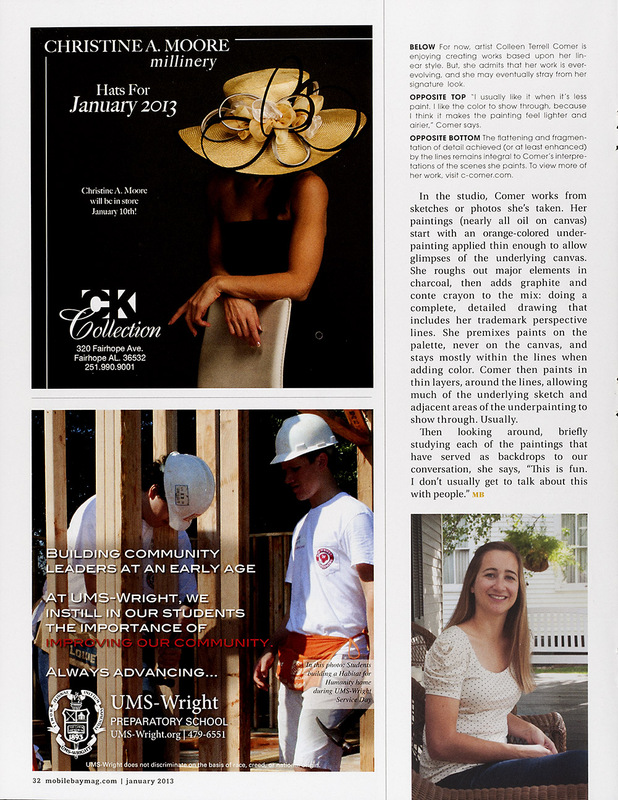 Mobile Bay Magazine, January	2013 Gallery. 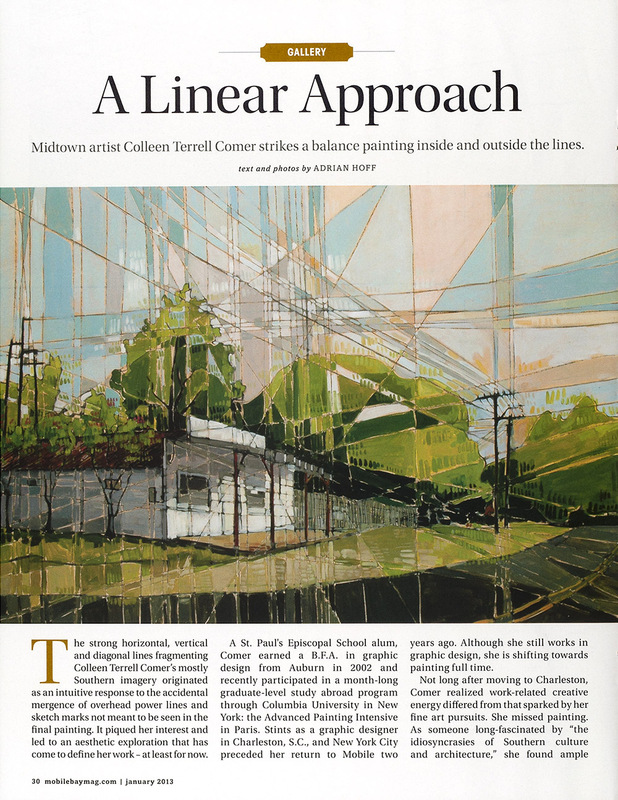 A Linear Approach: Midtown artist Colleen Terrell Comer strikes a balance painting inside and outside the lines.